"Normal is the new Veteran" according to Mass Effect 3 producer Casey Hudson. What this means is he's saying ME3 will be harder to play. Hopefully that means the skirmishes your character find themselves in will not continue to be a whole lot of hiding behind blocks and shooting back when the Krogan reloads or whatever. "The story in Mass Effect 3 starts off with Commander Shepard on Earth, attending trial for his actions during the Mass Effect 2 “Arrival” DLC. The trial will set the stage for the game, and at some point during it, the Reapers will suddenly begin their invasion of the planet. We saw glimpses of the invasion in the first ME3 trailer which led people to believe that Earth would be under attack, and this has been confirmed." "The Illusive Man who was a large part of the first game, is the head of the Cerberus Organization, but unlike Mass Effect 2 he will not be on your side. He won’t be rebuilding you cybernetically, nor lending you any of the ships in his fleet. This time, his role in the game will be to take down the Commander. 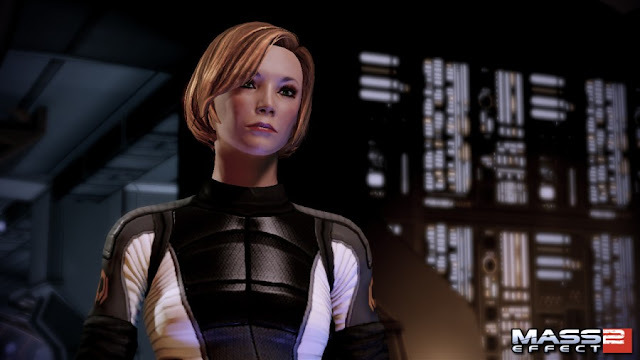 Why this is the case, is unknown, but likely to be revealed early on in Mass Effect 3." "Some of the places you will see in the sequel include a Salarian homeworld, a Quarian homeworld occupied by Geth, A human mining operation on Mars, and you will be visiting Earth as well. There is a human mega-city that was formed by the merging of Vancouver and Seattle in the fiction, this is where you’ll spend your Earthbound time. Unfortunately it will not be London or New York as thought before. You’ll see this city of Earth in two parts, one before the invasion, and then after the Reapers have decimated the city"
Of course, until we get concrete intel all of the above should really be considered speculation.